A team of astronomers may have spotted the most powerful supernova for the first time. That massive body of extremely hot gases is considered to be more luminescent than hundreds of billions of suns put together. Astronomers are not confident about what exactly is this. But they put forward a number of theories. They believe that it is a rare type of supernova called magnetar. This giant supernova is so much powerful that it has crossed the energy limits of Physics. Krzysztof Stanek, professor of astronomy at Ohio State University and the team's co-principal investigator said “If it really is a magnetar, it's as if nature took everything we know about magnetars and turned it up to 11”. It has crossed the scale of 1 to 10. A small system of telescopes was used to observe luminous objects , known as “All Sky Automated Survey of Supernovae (ASAS-SN or “assassin”)”. With the help of ASAS-SN, astronomers spotted this strange object. According to an estimate, it is 200 times more powerful than an average supernova, 570 billion times more luminous than our Sun or 20 times brighter than all the stars of Milky Way galaxy collectively. 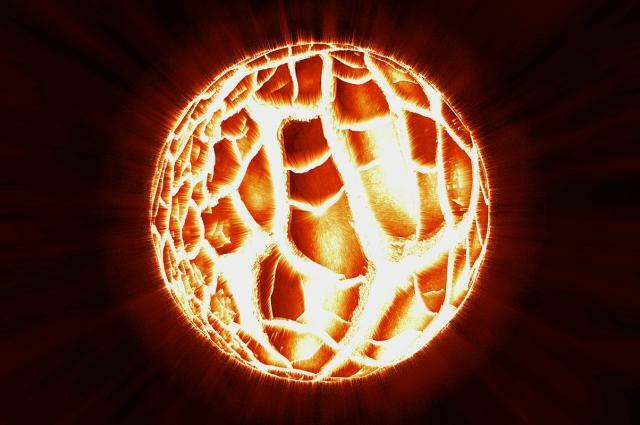 Astronomer also said that if it is really a magnetar, we will not find anything brighter than this. The Hubble Space Telescope will soon figure out the conundrum regarding this object by giving access to astronomers to explore the space around this object. They may discover that this object is present at the center of a huge galaxy. If it lies at the center of a galaxy than it might be an enormous black hole. Whether it is a giant supernova, a super massive black hole or whatever, it will definitely give us the access to explore more about the cosmos. And as a consequence, it will give rise to new theories about how objects form in the universe.